This chapter focuses on understanding how subsistence entrepreneurs utilise chance discoveries in their marketplace. A case study method is utilised to understand the process of serendipitous opportunity discovery in terms of obtaining market advantages. 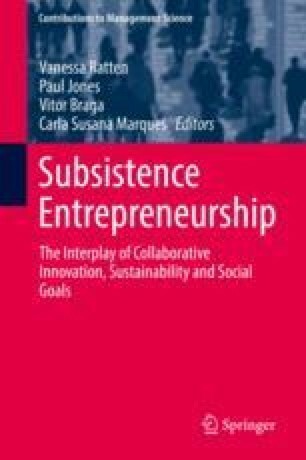 Case studies from Finland and Denmark are utilised to analyse the subsistence entrepreneurship process from a transformational perspective. The results indicate that some passivity can generate a serendipitous opportunity discovery. Suggestions for future research are stated that highlight the link between the transformational and subsistence entrepreneurship literature.